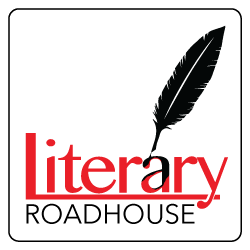 I just recently found you all and am working my way through these Literary Roadhouse podcasts and also the Bradbury Challenge ones. I enjoy them both for different reasons. Thank you for both casts. If I had more time, I’m sure I would get hooked on the Bookclub also. But between two of your awesome podcasts, I already have more than enough food for thought for the time being! I do have to work and eat and sleep, you know. I mean that in the best possible way! Anyhow, just wanted to comment and thank you for these discussions. I think I enjoyed it more because I saw a whole "conspiracy theory", and thought that’s what the DR story was there, kind of a back story. Junot was giving us some clues to find this out, and that was intriguing for me.This is what I got from all the baby drama: Elvis’ baby girl with his wife is not his either! When Junior sees the boy in DR and realizes Elvis is not the father, he starts to think about it, and encourages him to get a DNA test. Elvis was willing to accept the boy, even knowing he was not the father because "he always wanted a boy". He hoped that the wife was going to accept it, but if he had taken the boy back with him, the wife was going to know it was not his boy, because he was not the girl’s father either. In fact Elvis can’t have children. The Clues in the story is the description of Elvis injuries and when the wife says, "no more baby this oven is closed." Latin women typically don’t "close the oven" after just one kid. Junior was protecting Elvis because he knew taking the boy back would have destroyed the marriage and destroy Elvis. The guy’s "manhood" is very important in Latin culture. On the other hand Junior’s girlfriend’s baby was really Junior’s baby. She knows junior was not ready to be a father, but she had no choice but to depend on his support because she had no one else to turn to. Her very traditional family was not going to be ok with her having a baby by herself. When the Kenyan boyfriend comes back, she saw an opportunity. She knew that he would do the "right thing" and marry her, because of his own traditional values. This was the only way she could face her family, and have them accept the baby. I really enjoyed the story, it was told using the street language of a bilingual society, when your native language is not English. In this case it was Spanish, and from personal experience it is normal for the people who are fluent in two tongues to use the simplest word of the either language during a conversation… a constant back and forth between the two. I was a bit surprised how weak he actually was as a person, and used his sexual escapades as a way to show his manhood. Seriously; someone comes to my apartment, takes over the place, and kicks me out of my own bed… I DON’T THINK SO!!! Baby mama or no baby mama. The only thing I did not like in the story were his constant physical ailments. Whatever he got into was stopped by a physical malady… he should change his name to Helen Keller. I also found the ending to be very open ended, almost like a setup for a second story. Overall I give it a four. I love the perspective you give it as a Latin-Caribbean man. Like I said on the podcast, I think letting him off the hook because "well his culture can be like this" is too easy. He could have gravitated to the men within his culture who aren’t players, but he didn’t, and that says a lot. Did you feel like the injuries were timed to distract from his worst moments? Like he’d treat a women horribly, and then, bam, next scene we’re seeing him in physical pain. I didn’t think about that aspect of how his ailments were all after mistreatment of a woman, but it does tie in. One thing that did occur to me this morning was how in this story he created his own solar system, with his ex being the star, and all of his sexual escapades are the planets that are orbiting the star. No matter what planet he is in at that time, he is always looking at his ex. Well, considering that Yunior’s mistreatment of women is an omnipresent thing, then ever single injury and sniffle is after, during, and before the mistreatment of a woman (or two). Zing? I like the visual in the solar system metaphor. 2 Bradberries. This story did not do it for me on so many levels. I laughed when Maya said she scrolled ahead to see how long it was, because I did the same thing! LOL. Several times. Ugh. I’m only going to say that parts of this story did, for a moment, draw me in – and I was not aware of READING the story – but then it quickly lost me, big time. I read the story first then watched the video. Certainly listening to everyone delve into it, thoroughly discussing everything, helped me see sides to it that I would not have, which is why I’m really loving this show. It has me reading stuff I would never read, seeing sides to things I would not see, thus contemplating new things. In retrospect, having heard and considered what everyone talked about and pointed out, I would give this story 3 Retroberries. Heh-heh. Your retorberries made me laugh in public. Now the café thinks I’m insane lol. Thank you for the huge compliment. I was hoping the podcast would expand my own reading, so it’s wonderful to hear that it is doing the same thing for listeners. Next weeks story has me really exited. I haven’t read much from South American authors and reading the wiki for Jorge Borges was fascinating. What a great comment! It made my heart grow three sizes too big. You say the story didn’t hold your interest. I’m curious to know if it was the writing, like with Maya and Kenechi, or the story, like with Gerald and I? Or was it both? Haha, it could be both! Not sure if I should tally your Bradberries or retroberries. Which would you prefer? I watched the podcast on youtube and I found myself yelling at the screen of my ipad lol. Sometimes agreeing, sometimes, disagreeing, and sometimes answering the host’s question. I really liked the story, not at first, at first it felt like "meh". In the beginning of the story, I felt I had an advantage. In the first paragraph I even heard the voice of the story teller with a very heavy Dominican accent, which I though was unfair, and it would be very difficult for someone that it’s not familiar with the colloquialism to follow the story, but I agree with Maya that the language and the tone changed right after that, I did not hear the accent anymore. Given the fact that the discussion lasted for more than 45 minutes, I was surprised at the low scores. Everyone had something to say about the point of view, the language, the tone, the content, and other underlying themes, such as culture, class, and racism in the story. This is what a good story does, therefore I give it a 5. I told Anais you weren’t gonna be happy with my rating lmao. The story did prompt a lot of interesting discussion but anytime I get the urge to skim while reading a short story, I will dock it points regardless of how much I like the author or how interesting the ideas are. The urge to skim in a fatal flaw because it causes people to put the story down and not finish thereby missing the very ideas the writer is wanting to explore. Truthfully, if I hadn’t been on the podcast, I might not have finished the story. If something had pulled me through the story, I probably would have given it a five. Regardless of experience and genre, keeping your audiences attention is foremost to me. whether that is through character, language, construction or plot. Given how patient I am with slow building character based stories, I should never have the urge to skim a story that is only a few thousand words long. I love Diaz as a speaker though and the themes in his stories are themes that need explored. So, I am going to read a few more Junot Diaz stories before I make up my mind about him as a writer.